When the temperatures fall, your instinct is to bundle up your child in as many layers as possible to help protect him from the frigid weather. 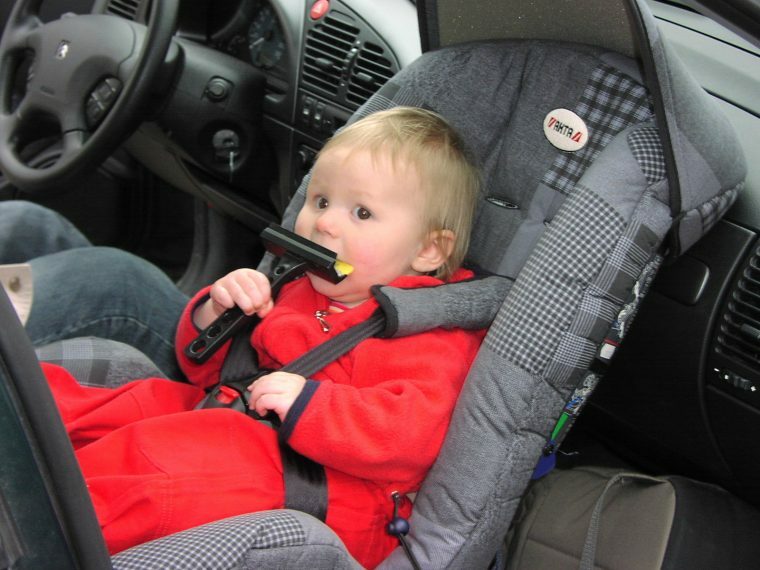 But putting on your child’s coat before securing him in his car seat can pose a serious risk, even though you might think you’re doing the best for your baby. The bulk of a coat can easily trick you into thinking that your child is securely fastened in her car seat, when in fact the straps could be dangerously loose. This means that your child could come hurtling out of her car seat during a collision, potentially being ejected altogether from the seat. Loose straps on a child’s car seat can be life-threatening, and might be the difference between a couple of scratches and death for your child. Rather than bundling up your bundle of joy before putting him in his car seat, strap him in with his regular clothes on. If it’s cold, tuck the coat or a blanket around him to keep him warm. After all, it’s better to have a slightly cold child than a seriously injured child due to an innocent mistake.